Reagan is a part of the Supported Education program at Easter Seals Iowa, a graduate of Valley High School and current student at DMACC and Iowa State University studying communications. I was nonverbal at two and half. I was misdiagnosed multiple times until my mom found a doctor who made the right diagnosis—apraxia. Apraxia is a neurological disorder a person is born with. No one knows what causes it, and it is on the autism spectrum. Cases can be mild to severe, depending on how quickly parents get their children into speech therapy. I describe it as a disconnect between my thoughts/brain and my mouth and hands. Verbal communication and meeting new people have always been a challenge for me. If we had met even ten years ago, you wouldn’t have understood 40% of what I said. Today, through speech therapy and practice, you can understand me! I used sign language in preschool; then in kindergarten I started using a communication device. I used that until I was nine, and I spoke my first full sentence at nine. I was bullied in third grade by two girls at recess. They didn’t even know me for who I was. The girls said, “She’s deaf.” I yelled back, “I’m not deaf, I can hear you.” In fourth grade I gave a speech on Apraxia. At the end of eighth grade, I was nominated for the Cheryl Stokes Award by my peers, that recognized my positive attitude and enthusiasm. Skip to my junior year in high school, I was interviewed by my local news station for Apraxia Awareness. Then I joined groups on Facebook and met so many parents and teenagers with Apraxia. During my senior year, my local news station did a follow-up on me for the Des Moines Apraxia Walk. I participated in synchronized swimming all four years of high school. Near the end of my senior year, I gave a speech about Apraxia to my ninth-grade peers. I attended a camp called Youth Leadership Forum for teenagers with disabilities. We learned how to advocate for ourselves and our disability. In high school I had a great built-in support system, but not a lot of support systems outside of school. 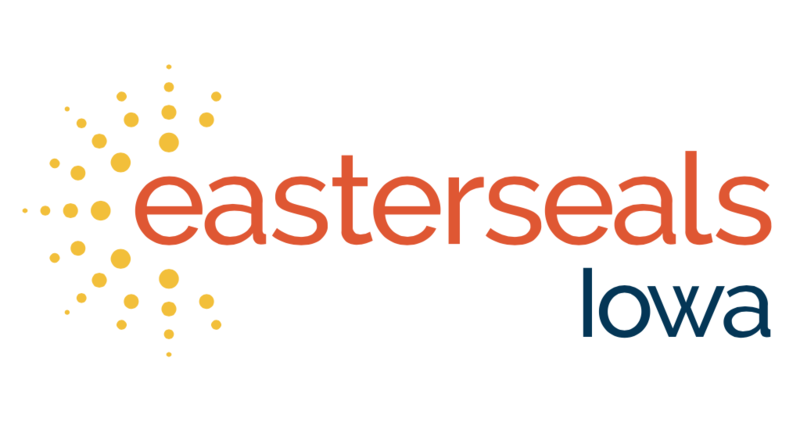 When I graduated and transitioned to college, Easter Seals Iowa stepped in with the Supported Education program and helped me build that base to be successful. Michael from Easter Seals Iowa is my supported education coordinator. We talk about what works best for me, how I can tackle all of my classes, plan and organize. It’s all about finding the right strategies to get through the struggles. Michael also helped connect me with the Department of the Blind to receive services I didn’t even know were available, let alone that I would qualify for! In the fall I’m continuing some classes at the Boone DMACC campus and also taking a big step to Iowa State University. I’ll be living on the Iowa State University campus in a dorm for the full college experience. I plan to join the disabilities club that started last year. With my communications degree, I hope to go into broadcast media as a reporter, and I wouldn’t mind working behind the camera for the Today Show, giving some advice on wardrobe. Because I’m a news junkie, I’m all over social media. It’s great to be able to use social media to advocate, spread awareness of Apraxia and to connect with others. I was very honored to be in attendance May 4 when Governor Reynolds signed a proclamation declaring May 14 as Apraxia Awareness Day. This is truly remarkable! Good for you Reagan and your family that never gave up the fight for your needs. All the best to you as you go forward with your studies. I’ll look for your name under credits on Today as someday you’ll make that happen too! Maybe you could give Savannah G some makeup advice too. Her eyeshadow is sometimes just too out there! Best to you always. Previous Ramona Loves Camp Sunnyside!